Russia’s economic outlook revised to stable from negative on abating external risks; ratings affirmed, according to US financial services company Standard and Poors (S&P). 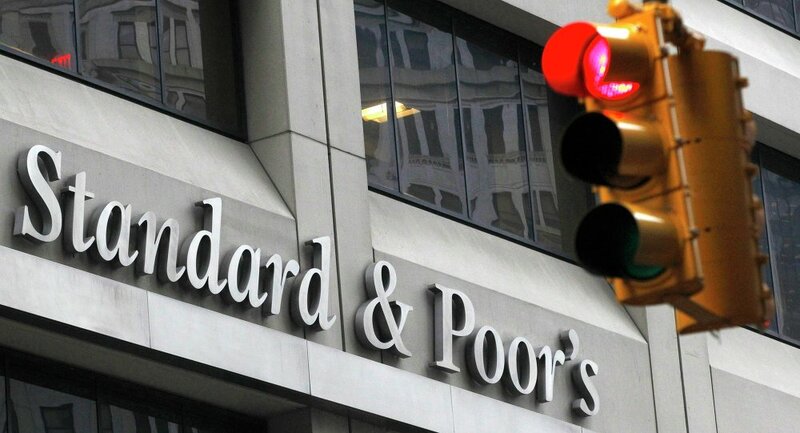 WASHINGTON (Sputnik) — US financial services company Standard and Poors (S&P) has upgraded Russia’s economic outlook to stable from negative, according to a release issued by the company on Friday. "Russian Federation outlook revised to stable from negative on abating external risks; ratings affirmed," the release stated. S&P affirmed Russia’s foreign currency sovereign credit rating at ‘BB+’ and local currency rating at ‘BBB-’. The rating agency noted that the decision to upgrade Russia’s outlook reflects the agency’s expectation of Moscow’s continuous adjustment to lower oil prices "while keeping its external and fiscal metrics in check." The rating agency noted that "external risks" to Russia have decreased, and it expects Moscow to see positive GDP growth in 2017-2019, which will average 1.6 percent. "Russia will maintain a comparatively low net general government debt burden in 2016-2019," the release added. "The country will continue to maintain its strong net external asset position." The Russian economy suffered a setback in 2014, as the ruble lost about half of its value against the US dollar amid low global oil prices and Western economic sanctions imposed against Russia over the Ukrainian crisis. The country's GDP fell 3.7 percent in 2015, according to the Russian Federal Statistics Service Rosstat.